Sitting atop the Range is the little big town of Toowoomba. Whilst it has the perception of being a country town, it is proving itself to be far from that now. Destination weddings are becoming more popular, however, it doesn’t have to mean flying your nearest and dearest to an exotic far off island, sometimes the ultimate destination can be just a few hours drive away, sitting up on a hill. Up on this particular hill is Preston Peak Winery, which overlooks the valley below and hosts all your wedding needs, from pre-wedding prep to post-ceremony party. When it comes to choosing a wedding destination there is so much more to think about besides “Where will the ceremony/reception be held?” For those who are not locals, there are other factors to consider such as, where will the guests stay? Who will be able to get there if it’s not their home town? In comes Toowoomba, with its perfect balance of city convenience and country warmth, and located perfectly for those from the east or west! The new Toowoomba airport also presents opportunities for those who have to travel from further distances to fly directly to Toowoomba from Melbourne, Sydney, Cairns and even Darwin. For those who need accommodation, Toowoomba also has a variety of options. Whether you want to stay in town, close to the city centre, or hide away a bit further out, there are multiple options for everyone. When it comes to beautiful views, Toowoomba has it covered! None better than the view from Preston Peak though, looking out over the seemingly endless Lockyer Valley, rolling hills and beautiful skies. 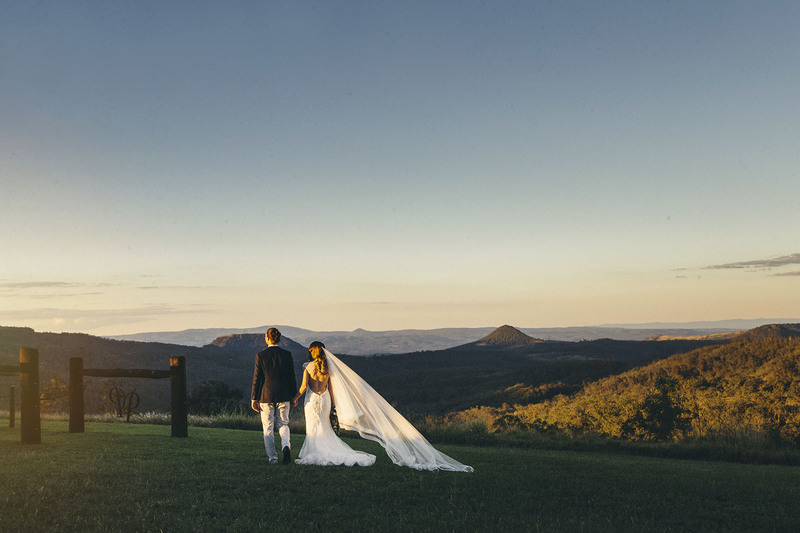 With everything you need in one location, finding your dream venue could be closer than you expected, filled with colour, convenience and amazing views, Toowoomba has proved itself to be the perfect spot for a destination wedding! And our team can assist with everything you need for your perfect day, with suppliers we know and trust right here, we can recommend the best fit for you, and help you to coordinate everything to create your dream wedding. Simply give us a call and have a chat, or we would love to show you around with a personal tour.